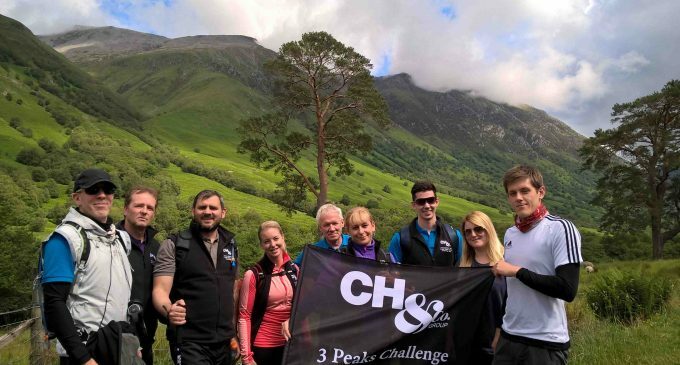 The procurement team from CIS Excellence Awards Sustainable Business of the Year co-sponsor, CH&Co Group, has successfully conquered the Three Peaks Challenge. The team of ten took to the road in a 1,245-mile round trip from CH&Co Group’s head office in Reading, to consecutively climb the three highest peaks in Scotland, England and Wales: Ben Nevis; Scafell Pike; and Snowdon, collectively raising over £15,000 for Hospitality Action and Springboard. The team (pictured) included Andrew Atkinson, Danny Hind, Jon Williams, Ola Mitchell, Luke Rosier, Matt Kearslake, Leanne Johnson, Diane Broad and Anthony Noakes, with Diane Broad’s 11-year-old son, Jack, joining the team as an honorary junior member. Jon Williams, group purchasing director at CH&Co Group, said: ‘It was tough going at times and I think we encountered all weather possibilities throughout the 28 hours, we were determined to reach the finish. To sponsor the team, visit https://www.justgiving.com/Ch-Co-Procurement-Team1 to donate.